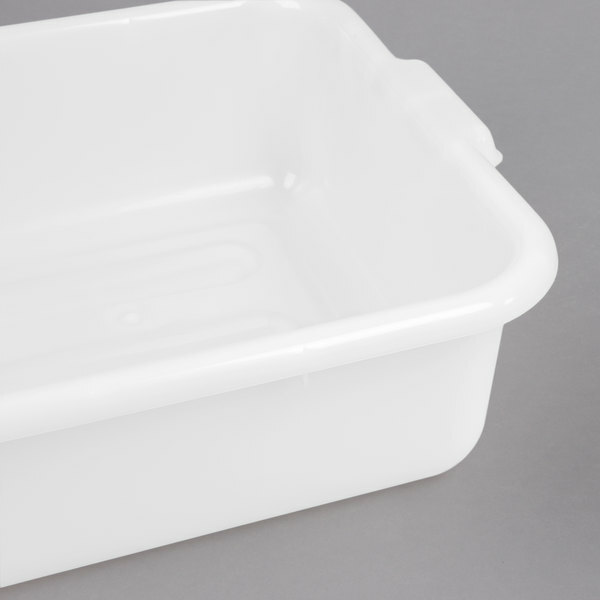 Perfect for the everyday operations of any restaurant, this bus box is an effective and efficient way to transport dishes. 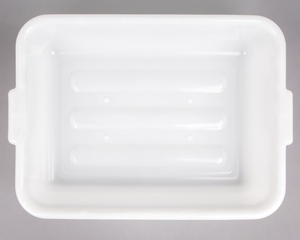 Transport dinnerware from table to kitchen with ease! 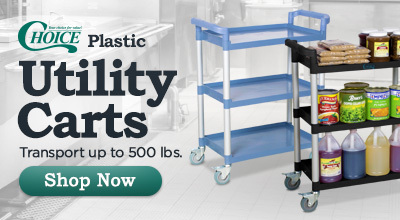 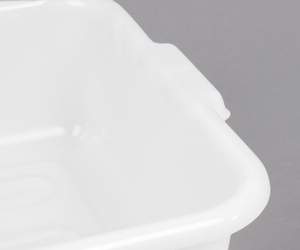 By supplying your bussers with this bus tub, you'll be helping to simplify and expedite the process of clearing tables for new customers, meaning that guests wait less and receive prompt service. 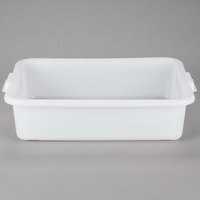 "We use these tubs for everything! 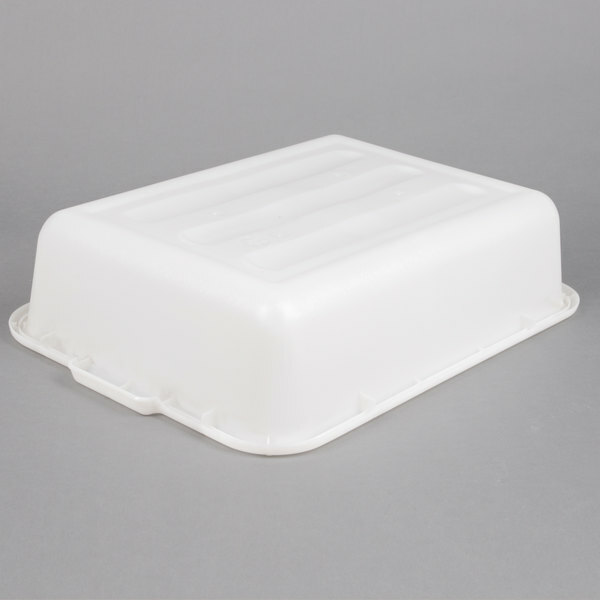 We transport cakes in them, use them to gather dishes and items off countertops, use them for storage, etc." 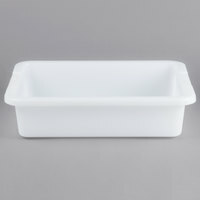 Don't trust just any bus box with your breakable dishes! 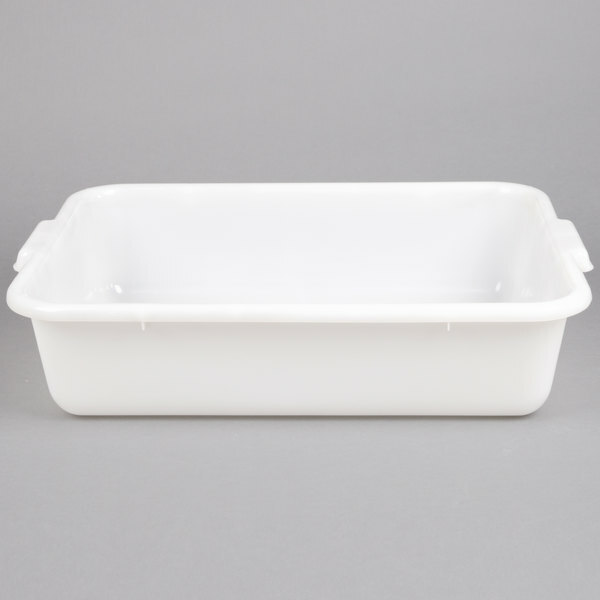 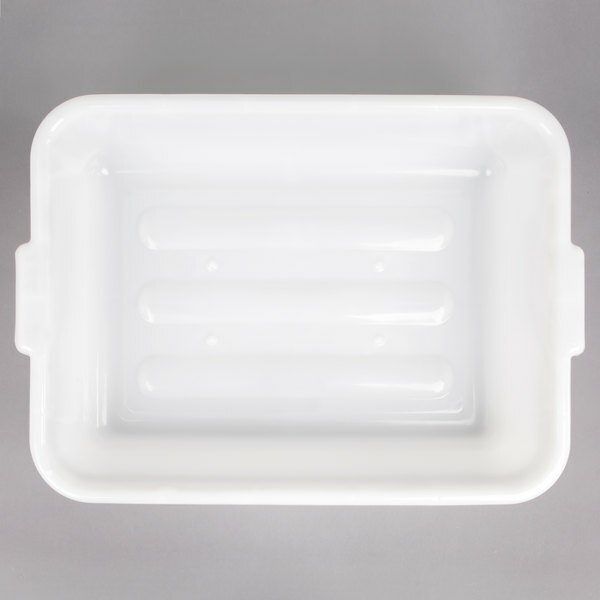 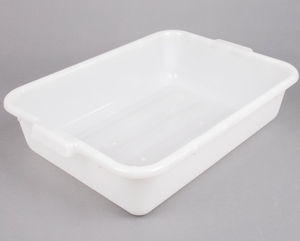 This versatile white bus tub measures 20" x 15" x 5" and boasts durable plastic construction built to carry even the heaviest of dinnerware. 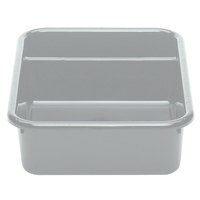 Because of how they're used, bus boxes need to be easy to move around a restaurant. 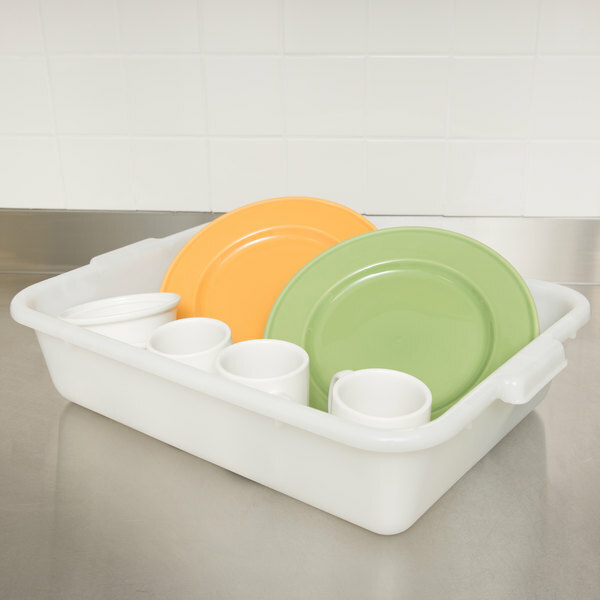 Thanks to the sturdy, reinforced handles on this box, your employees will be able to tend to dishes both quickly and easily! 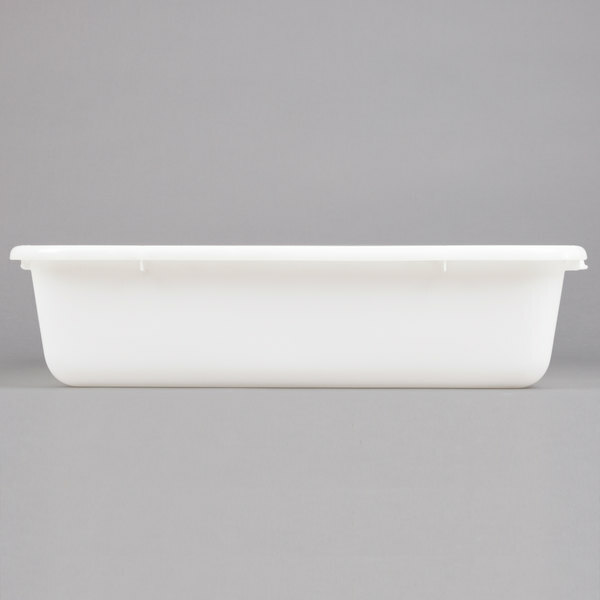 This bus box features a white, pebbled exterior finish for a fine appearance as bussers work. For easy, convenient storage, this bus tub stacks to help save space in the kitchen.